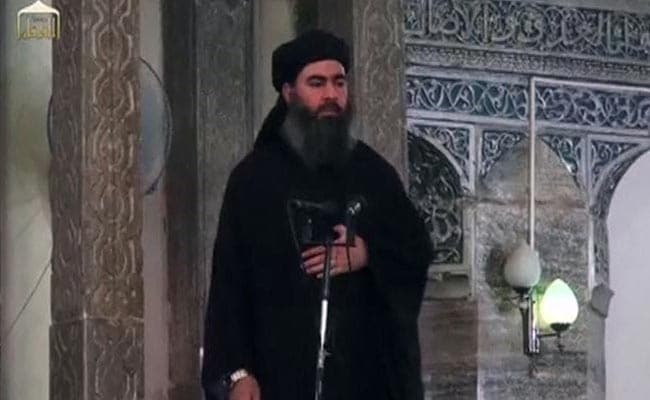 Nearly all of Abu Bakr al-Baghdadi's deputies are now dead, said US secretary of state. Washington: US Secretary of State Rex Tillerson has said that ISIS group leader Abu Bakr al-Baghdadi will be killed as nearly all of his deputies are now dead and it is "only a matter of time" that he meets the same fate. "Nearly all of Abu Bakr al-Baghdadi's deputies are now dead, including the mastermind behind the attacks in Brussels, Paris, and elsewhere. It is only a matter of time before Baghdadi himself meets the same fate," Tillerson said yesterday at a ministerial plenary for the 68-nation Global Coalition to defeat ISIS. The coalition, of which India is not a part, has made significant progress in the fight against ISIS. In addition to the latest meaningful financial contributions, the flow of foreign terrorist fighters into Syria and Iraq is down 90 per cent over the past year. It is harder for terrorists to get in, and more importantly, harder for them to get out to threaten these countries, he said. Tillerson said the ongoing Iraqi-led retaking of Mosul is pushing ISIS out of a key stronghold and liberating more than a million civilians. "This Mosul campaign could not have succeeded without the cooperation between the Iraqi Security Forces and the Kurdish Peshmerga," he said. Noting that the expansion of ISIS has necessitated a large-scale military response, Tillerson said the offensive measures are reclaiming areas in Iraq and Syria in which ISIS has had a large and destructive footprint. "Our end goal in this phase is the regional elimination of ISIS through military force. The military power of the coalition will remain where this fraudulent caliphate has existed in order to set the conditions for a full recovery from the tyranny of ISIS," he said. "Under President Trump's leadership and with the strength of this historic coalition, our common enemy will remain under intense pressure," he said. Tillerson said the military strength will stop ISIS on a battlefield, but it is the combined strength of the coalition that will be the final blow to ISIS. In order to stay ahead of a global outbreak, the Secretary of State called for adoption of several countermeasures. "First, continue to persist with in-country counterterrorism and law enforcement operations. All of us must maintain pressure on ISIS's networks within our own countries and take decisive law enforcement action to stop its growth. ISIS is connected across every continent, and we must work to break every link in its chain," he said. "INTERPOL is the newest member of our coalition and is critical to closing all routes through which ISIS terrorists seek to travel and threaten our homelands," he added. "Second, we need greater intelligence and information sharing within our own domestic intelligence agencies and among our nations," Tillerson said. "We also must look this enemy's ideology in the eyes for what it is: a warped interpretation of Islam that threatens all of our people...Lastly, in tandem with our aggressive push-back on the ground in multiple countries, we must break ISIS's ability to spread its message and recruit new followers online," Tillerson said. "A "digital caliphate" must not flourish in the place of a physical one, Tillerson said adding that ISIS's handlers around the world spend their days at keyboards communicating with a would-be terrorist, methodically feeding a recruit's deranged desire to develop local networks or carry out attacks in their own countries. Iraqi Prime Minister Haider al-Abidi said his forces have given final blow to ISIS. "Our fight on Daesh and against Daesh is a major victory. Today, we are in the stage of completely decimating Daesh and not containing it," he said. "We are not containing it. This is a terrorist group. It cannot be trusted. We cannot deal with it, it's organizing, killing, and chaos and destruction; a very corrupted ideology," he said. "There is no humanity to ISIS, and today is trying to oppress the human being in our modern world. Today, they're trying to sell women, sell children. This is a very heinous crime that they do sell women and children in Iraq and Syria," al-Abidi said.